The Ultimate Scorebook was designed in 1996 out of a desire to build a "better" scorebook. One that would facilitate everything a scorekeeper might need to successfully document the events of the baseball / softball game. It is truly the best scorebook on the market today and has been widely endorsed by baseball and softball coaches, leagues and associations in both the competitive and recreation markets. The form, function, design and user friendly layout have made the scorebook a hit with new and old scorekeepers. You won't use another baseball / softball scorebook after purchasing "The Ultimate Scorebooks." Our scorebooks come in 30 game and 100 game spiral bound books along with four-part line up sheets to streamline the notification of all parties regarding the line-up of each inning. These full-function scorebooks provide features you won't find with any other scorebook on the market today. Our scorebook features include: combination of both teams on the same page along with a notes column for the opposing team; a batting average chart, expandable team roster, season schedule, record / win-loss chart and the hard back cover acts as a clipboard to further overall utility. 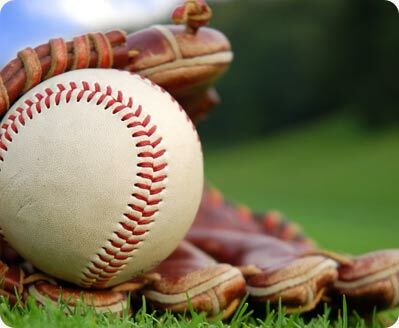 Our scorebooks are designed to provide your baseball / softball team with all the best statistics. The statistics are only as good as the scorekeeper and our scorebooks guide the scorekeeper through time tested formats, so you can be assured that the statistics are accurate and well-documented in our easy to read format. If you are interested in advertising with us, then please Contact us. We would also appreciate your comments or suggestions as we always want to enhance our existing baseball and softball scorebooks.